Several bus users on Saturday asked if the 162 Frome to Shepton bus is going to be cut. I can confirm after talking to Frome minibuses that the 162 is NOT going to be cut. 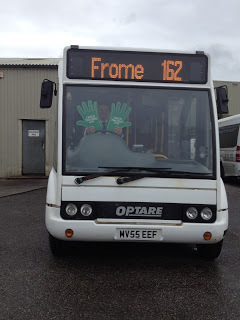 I was told by Frome minibuses that the 162 is going from strength to strength. The 162 operates 2 hourly Monday to Friday only. Hope this puts that rumour to bed.